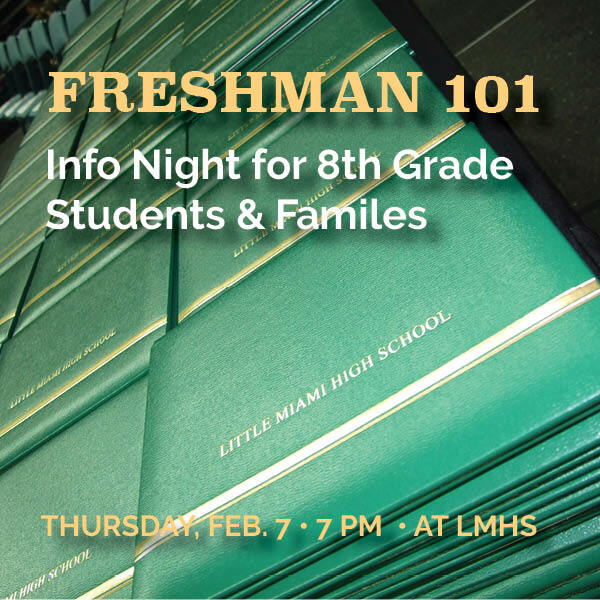 Parents of students who will be freshmen for the 2019-20 school year are invited to attend Freshman 101 on Feb. 7 at 6 p.m. at the high school. School counselors will go over important information regarding high school credits, graduation requirements, athletic eligibility, the scheduling process and an overview of what to expect in high school. Parents and students will have the opportunity to meet and talk with teachers and counselors. On the morning of Feb. 7, 8th graders will get their own tour of the high school. Due to the timing and elementary bus routes, it will be necessary for 8th graders to get off the bus at LMHS that morning. Students will be dropped off at 7:40 a.m., their regular time. LMJH car riders need to be transported to the high school by a parent or guardian and enter the at the main entrance. High school and eighth grade staff will meet students to direct them to the main gym where attendance will be taken by Homeroom/ETEH. If your student eats breakfast at the Junior High, they will be able to purchase breakfast at the High School using their student ID number. Orientation activities will begin at 8:00 and end at 10:30. Any student arriving late with a parent/guardian during this time needs to be transported to the high school to join their group. After the freshman orientation, students will be transported by bus back to the Junior High to complete their day. If you have any questions, please contact Mrs. Wall at awall@lmsdoh.org or 899-3408 ext. 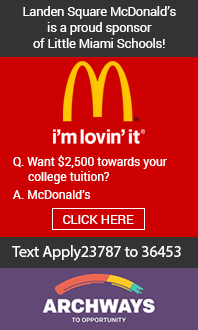 25481.